2018 Friday/ Saturday Sampler is Turning Twenty Caramel Apples pattern done in Batik fabrics. 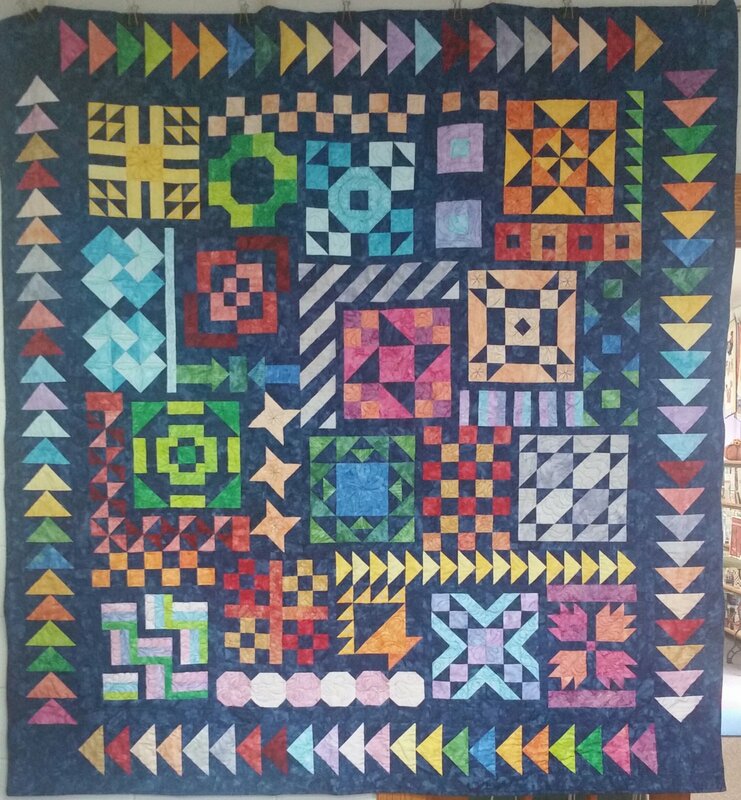 Quilt finishes to 70″ X 76″. Easy enough for beginners and a breeze for advanced quilters. Hope you can join in the fun. Each Month kit consists of fabric and instruction for pieced 12" block. Participants must buy the pattern for $26.00 and the first blocks fabric kit for $6.50. Bring the completed blocks back next month to receive the next blocks kit free. Each month an accent block kit for $6.50 is available for purchase. Please call or shop to sign-up for the 2018 Friday/ Saturday Sampler.